Just imagine having a gorgeous space in your backyard with a floor that looks like real stone but without taking forever to complete. 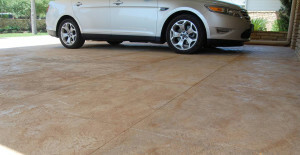 You can by having a professional installer or contractor refresh your concrete patio with the application of a product like SunStone. With a customized limestone coating, you have endless design possibilities. 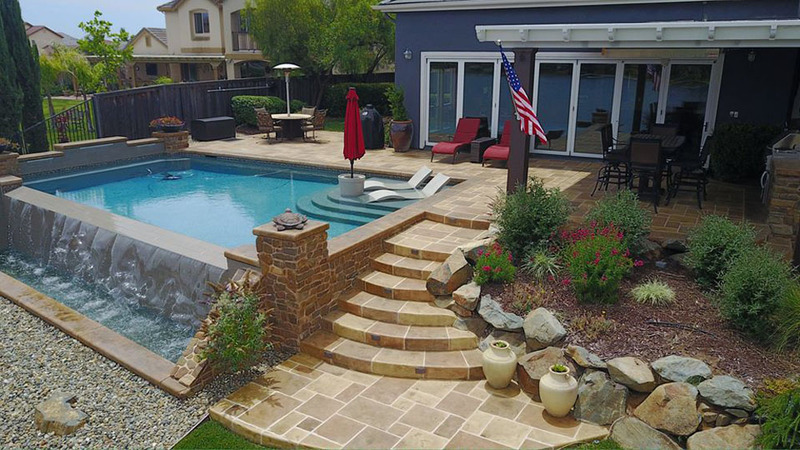 When you choose to refresh your concrete patio, you avoid two things in particular. First, there is no need to find quality quarried stones with symmetrical shapes and similar color tones. Second, you do not need to have the current concrete slab torn out and reinstalled. Instead, an expert applies a top-of-the-line limestone coating directly on the existing surface. You end up with perfect floors in one day. Best of all, with this type of customized coating, the surface looks so real that no one will know the difference. Once sealed to create a second layer of protection, the floors will outlast the time you live in the home. Not only does transforming your patio add value to the house, but it also makes it more marketable if you ever decide to sell. But there are even more reasons to refresh your concrete patio using a customized limestone coating. Along with the floors, you can change the appearance of other horizontal and even vertical surfaces, including cinder block, drywall, brick, sheetrock, stucco, and more. That means instead of just focusing on the area you walk on, you can completely transform the entire space.